I was invited by Sony Malaysia to have a hands-on session with some of the new products announced yesterday; the full-fram Alpha SLT-A99 and grip, NEX-5R, NEX-6 and 16-50 pancake zoom were all present – though unfortunately not the RX1, which is said to be in final beta at the moment. All products were still non-final in firmware and image quality, so I wasn’t allowed to keep any of the files. But what I can do is offer some subjective assessments and opinions on usability, handling and perceived file quality (off the LCD, at least). First impressions are of a solid but relatively lightweight camera; subjectively it’s in the Nikon D800E weight category – noticeably lighter than the D700, 5DIII and A900, but not as light as the APS-C cameras. The body is a matte-finish magnesium alloy with a nicely sculpted and very ergonomic grip; there’s only one workable hand position because of the finger detents, but it’s a comfortable one. Major buttons all fall to hand easily, which is good, because there are lots of them – a number of which are customizable through the menus. One thing I do like with all of the new Sony cameras (including the NEX-6, NEX-5R and A99) is the fact that the power switch is around the shutter button – easy to turn on and shoot, and equally easy to turn off in between to prolong your battery life. For a non-Sony shooter, the learning curve was fairly steep, but the majority of camera functions were easy to figure out. I’m told that the A99 is aimed at the professional end of the market, and features a 200k shutter life along with environmental sealing. For the most part, it seems that the external control compliment was well chosen, but for the life of me, I couldn’t find any way to change metering other than via the menu. The focus points were also all clustered around the center of the frame in a square – odd, considering the camera also uses the imaging sensor to focus (and there should be no restrictions with live view CDAF). I suspect it has something to do with the phase detect cell in the ‘pentaprism’ (the A99, like all translucent-mirror Sonys does not have a pentaprism but rather an EVF) and correlating results with contrast detect AF. I didn’t see any AF fine tune adjustments (what if the PDAF sensor is misaligned?) but then again I also didn’t have time to go through the menus in great detail. Overall though, while the camera felt a bit too menu-centric in operation, responsiveness, speed and general usability felt top-notch. Focusing is as fast as any of the traditional DSLRs I’ve used, though I didn’t have an opportunity to try tracking focus. The focus range limiter works well, though requires a bit of practice to become intuitive in use. 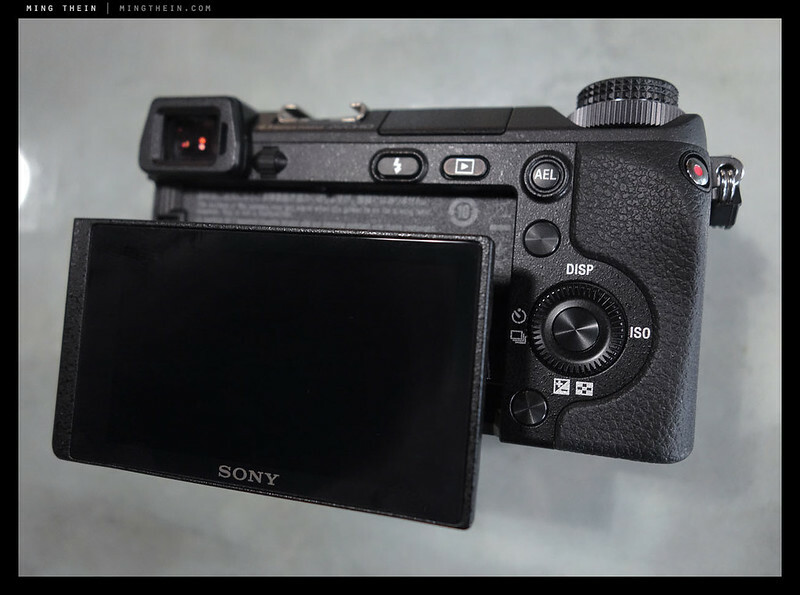 The EVF felt a notch above that used in the NEX-7 (and NEX-6) – there just seems to be less tearing and an even finer pixel mask than the already excellent units used in those two cameras. Other than the dynamic range and generous information overlay, it’s not immediately obvious that you’re looking through an EVF based solely on resolution alone. On image quality – not knowing how final the image processing in the camera is, and not being able to view files on a computer – i.e. judging off the LCD only, for JPEGs, with whatever processing the camera has chosen to apply – the files look pretty clean. Very subjectively, on a pixel level, I think they’d probably be on par with the Nikon D700, and possibly close to the D3s. It seems that after a generation of evolution in sensor technology, pixels have been allowed to shrink again without too much detrimental effect on noise performance. Side by side with the RX100 I was also carrying (which has the same LCD, and a similar processing engine to the A99) – the A99 appeared a full 2-2.5 stops cleaner, with ISO 12,800 looking quite similar to ISO 3200. This of course bodes well for other cameras that may use the same sensor as a base – the RX1 and newly announced Nikon D600 come to mind. I don’t know if I’ll get around to doing a full review of this camera – it may be meaningless as I don’t have the lenses to use it in my normal course of work, and probably not enough time either – but I definitely think it bears further investigation. 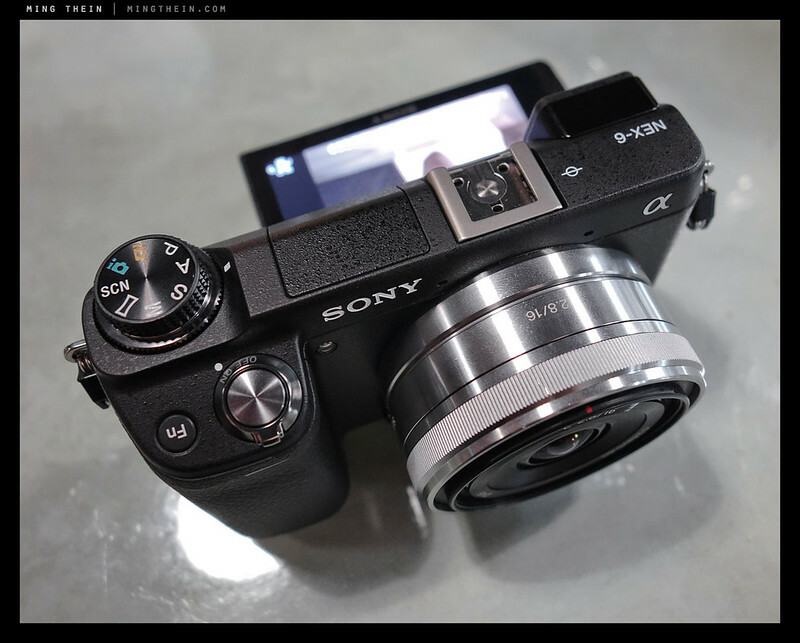 The NEX-6 feels much like a NEX-7 light – I was told that the market liked the NEX-7, but didn’t like the price point; so Sony went out and filled the gap between. It’s very much a mix of the two cameras on either side of it – it has the same 16MP sensor as the NEX-5R, complete with phase detect points for faster AF, and the body style and EVF of the NEX-7. It’s also a bit thinner than the NEX-7, and has an ISo-standard hotshoe. This new hotshoe – shared with the A99 – has the usual trigger pin in the center, but its electronic communication contacts are in the front portion of the shoe; let’s hope the design of the corresponding accessory shoes on the flashes etc is sufficiently robust, because some of those pins looked rather small and delicate. The one thing you’re all probably wondering about is AF speed, especially with those extra phase-detect photosites on the sensor. Subjectively, it’s pretty quick under moderately low light (indoor) conditions; there’s no hunting, but perhaps the lens could be driven a bit faster. Maybe the newer lenses will allow this – the only functional lens we had was the 16/2.8. I’d say it felt about the same as the Olympus OM-D and 12/2 under similar conditions. Not much to say about perceived image quality for this one – the files definitely didn’t look as clean on the LCD as those from the A99; I’d say it’s probably on par with existing cameras that use the predecessor to this sensor (D7000, NEX-5N etc). The final camera I’ll quickly mention is the NEX-5R – it shares the same new 16MP sensor with phase detect points with the NEX-6; performance felt almost identical in terms of AF speed, and one presumes image quality would be similar, too. It does gain a touch screen which flips through 180 degrees for the narcissistic photographer. 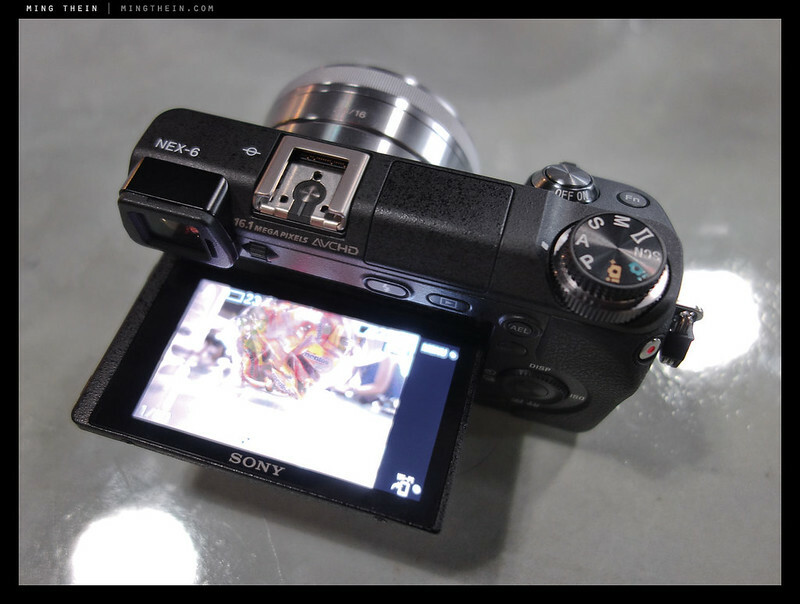 Effectively, it’s the same camera as the NEX-6 minus one the EVF and mode dial. Also present was the new 16-50 pancake zoom, but I didn’t have a chance to shoot with it because it was a non-functional prototype. The size is a little thicker than the 16/2.8 (but not much) – similar to the Panasonic 14-42 X – and like that lens, it uses a rocker switch on the side to zoom. I’m told it will also be available as a kit lens to go with the NEX-6. A big thank you to Sony Malaysia for the invitation. 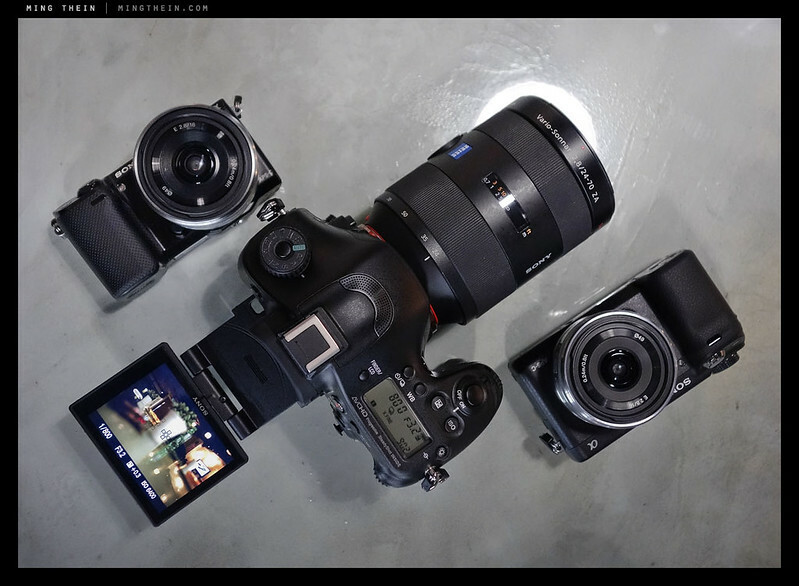 Ming, you have had a quick look at the Nex6, will you make a full review a day ? Actually this camera is very compact, has an excellent sensor , the price now is around 560€ body alone, add a lens like the famous and cheap Sigma 19 and compare it to the price of the new Nikon A or Ricoh GR, you are into the GR price range with a much more versatile camera. 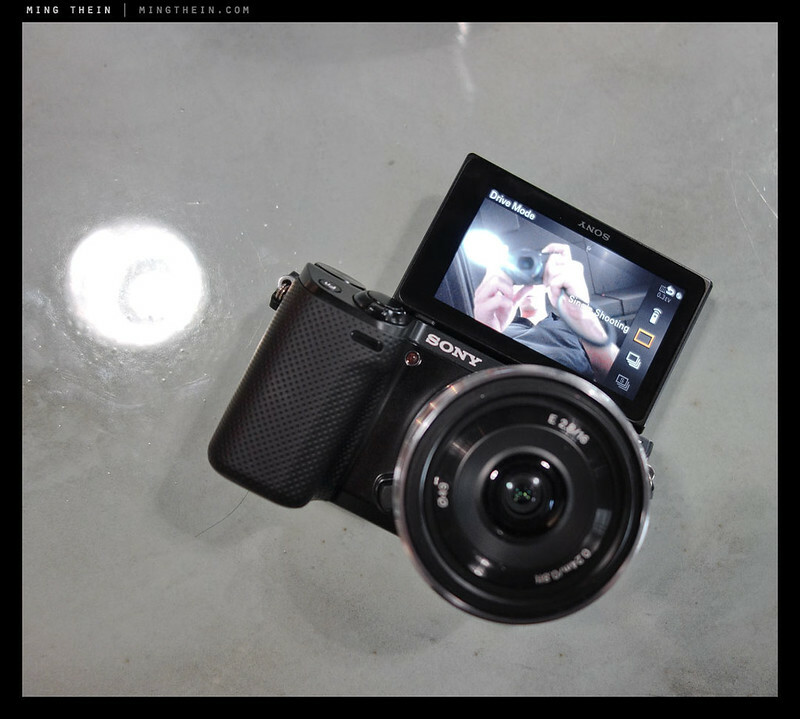 The pictures I can see from this Nex6 over internet seem very good. It would be great you test it because many of us around the globe have no chance to get into a shop and play with the camera. Believe it or not there is no camera store around my place, none! In KL you have it all at hand. No plans to. 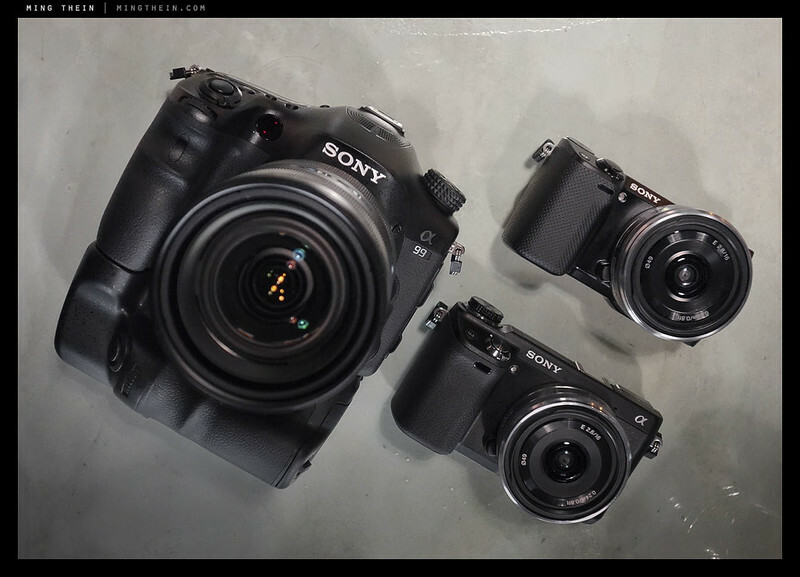 Sony Malaysia doesn’t loan me gear…I’ve been requesting an RX1 here since before launch, and they’re denying the request to this day. hey ming, thanks for the great read as usual! the a99 looks like a monster with the cz24-70! Nope, no plans to. I simply don’t have time to use cameras that I have no intention of shooting with professionally. About 1 year ago, I switched to a77 and sold my d300 gears, fully expecting to have the a99. Nope! The key of a77 is that you saw your pic immediately without look at the back. Adjust the exposure and do it again, all whilst you are still holding the camera in the ready position. All the old gear like zeiss hasseblad lens have in body stabilization. The only issue with a77 is I cannot set the autofocus button on the back like the D300. Also, you are looking at a tv when doing kite (the eagle type, not paper one) photo, it is a bit lag. If the a99 is not so expensive, I would got it. Got a d600. Miss the review on the viewfinder part and the LCD that I can take pic like using a waist finder. Torn between 2 lovers- now should I get the sony 70-400 II or the new 80-400G. 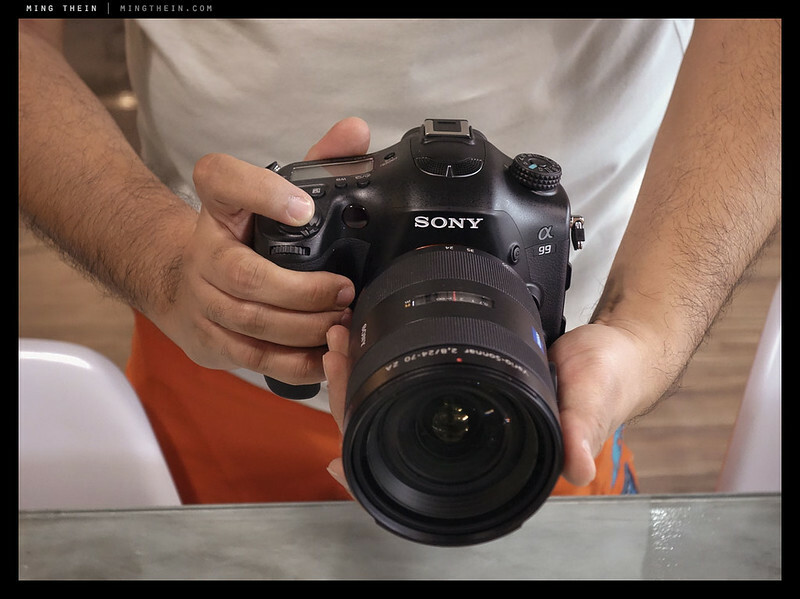 Did you have a chance to review the Sony RX1 full frame camera??? Would you please give me some recommendations. Thank you. hmmm… 99 looks good with the CZ on…! Balance is a bit front-heavy, though. Sony please! Could the AVCHD progressive steady shot technology iINSIDE not be advertised on the OUTSIDE? I don’t need to be reminded of the technology every time I look at the top plate I simply want it to work smoothly, unobtrusively. Let’s see how the D600 performs (with the new kit lens too) – at the moment it’s not much cheaper than the D800 in the UK. The lack of optical viewfinder is usually a deal breaker for me and other enthusiasts. First time users or compact upgraders won’t mind tho. Overall, I applaud Sony for being brave to make uncommon camera design, and improving the performance in each revision. I also like the universal hotshoe. I think the old hotshoe is very poor choice from Sony. Finally they fix it. Sony NEX needs more lenses, but so far so good. Hi Ming you mentioned the new 18-55 pancake zoom, i wonder why dpreview’s announcement is 16-50 pancake zoom. Nice peek! hope you will share any thoughts you might have formed on the D600 soon. Supposed to ship next week. What ever happened to the D800E I ordered months ago, still not shipping? Maybe they shifted production to the new 600. The D800s are available quite easily here; the D800Es are still in short supply. I’ve ordered my D600 already, who knows when it will arrive (I’m hoping next week, of course). What is the latest on the D800 (left) focusing problem ? New units supposedly problem free, they have a fix for existing units. Not this time, but it looks like technology is going that way. To be honest, even something like the Olympus Mju II would do pretty well. Yuck. Sony got me with the Zeiss optics and quickly abandoned the pro market. The last thing I want is to view the world through an LCD screen. (not to mention add another layer of garbage in front of the sensor to reduce image quality and attract dust.) Too bad, akin to mounting Zeiss lenses on a holga body. The mirror in front of the sensor is fixed and sealed, so I’m not worried about dust. 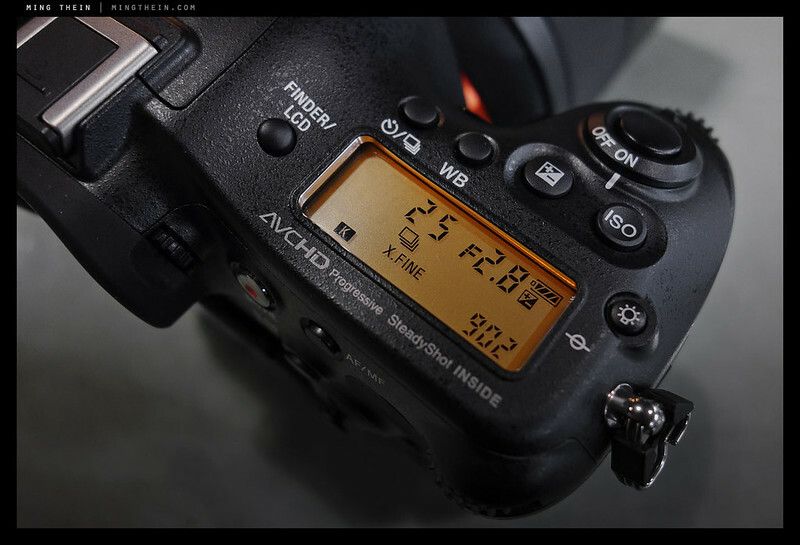 And the sensor itself is the same base unit used in many other cameras – the D600, for instance. 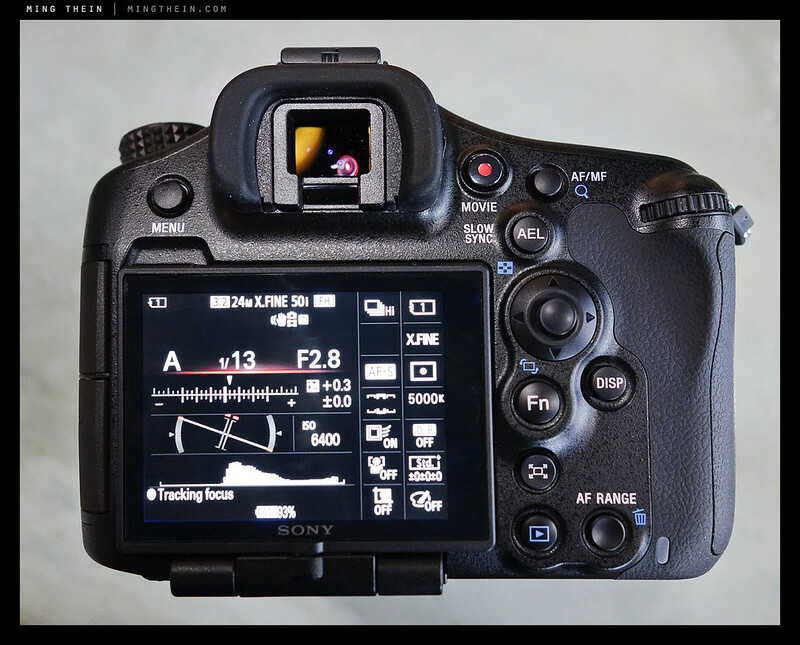 And the D800/D800E also uses a Sony sensor. Nicely written, thank you! Useful commentary. Did you happen to notice whether or not the AF pattern covers the rules of 3rds intersections? No, I don’t think it did – it’s around a very tight square in the center of the frame. Certainly felt like a smaller pattern to me than say the D800. That may be true about low end mirrorless cameras. However there is no technical difference in how an image sensor in a mirrorless camera receives light compared to one in a DSLR. Given identical sensors the two should perform identically using legacy glass, including wide angle. First a big thanks for your always stellar images from your travels. You redefine the word photographer using every day cameras. About the 99: You say no AF fine tuning. You are probably correct. The reason could be that final micro contrast auto focus is done on the sensor, automatically fine tuning any inaccuracies of the fast and preliminary phase detect auto focus done through the mirror. If this works it’s big. It would get around the D800 problems and make zoom lenses approach the line resolution of primes. Though not raising a lot of eyebrows right now, the 99 could be an intermediate winner. I am of course still waiting for the mirror to go away completely. My pleasure. I don’t know if it has it or not (AF fine tune) – I didn’t have time to look. As for zooms approaching primes…what would the primes do under such situations? I’ve always thought the pellicle mirror solution with a proper optical finder was the best solution. I think we can live with half a stop of light loss, with modern sensors it’s not a big deal. While the EVF was pretty good resolution-wise, the dynamic range doesn’t even come close to a real optical system. Since money is an issue, I don’t see anything alluring here – the NEXs are not my taste designwise, and the A99 is unaffordable. Still it’s good to keep up with the newbies. Will you be at Photokina?